I wrote my last think piece about how the Patriots are always one of the most banged up teams in the league. You can read that piece here. Today, I wanted to take a look at the remaining four games from that same perspective. With the AFC East all but wrapped up, what likelihood do we have of entering the playoffs with a healthy squad? Right now, we are banged up all over the place. 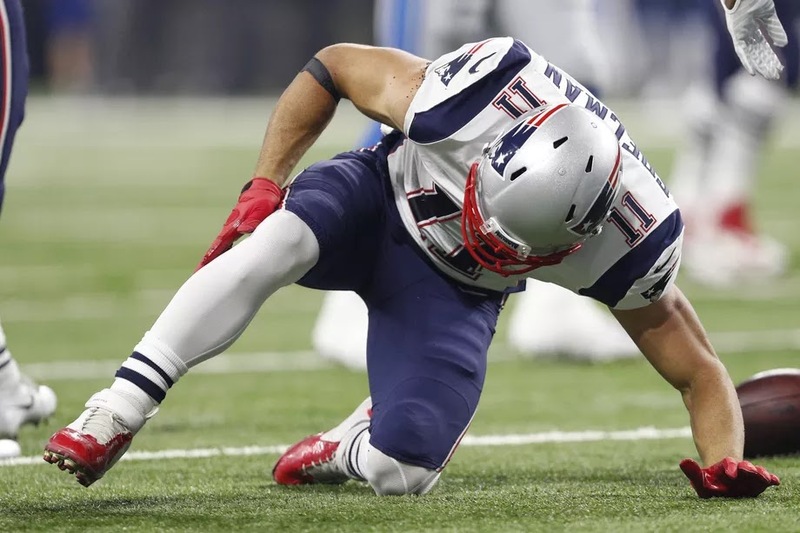 Kyle Van Noy and Trey Flowers are new additions to the walking wounded. We are also keeping an eye on Marcus Cannon, Chris Hogan, Malcolm Brown, Eric Rowe and a list of others. Based on what I’m seeing, the schedule makers want a few more of our players on IR before the playoffs start. Week 14: At Miami – The Dolphins are a weird team this year. As soon as you think they have nothing to play for, they blow out the Broncos. It looks like they still have that physical defense. Either way, I’m weary of divisional games. They are always physical and we always seem to lose someone. Not to mention they have Donkey Kong Suh who is looking to bury a QB. Add in Kiko Alonso (he hurt Jimmy G last year) and Cameron Wake (Also looking to bury him some QB), we have a recipe for disaster. Week 15: At Pittsburgh – If Monday’s game was a good representation of AFC North football, count me out. In what will probably be the biggest regular season game of the year, I expect a bloodbath. Losing a player to a head injury or to a suspension for retaliating is unacceptable. If head hunting is on the menu, we are in trouble. Week 16: Bills at Home – Simply put, I expect the Bills to want to hurt us. I was mildly surprised there was not more of a battle after Gronk put a five-star-frog-splash on Tre’Davious White. After getting to review the tape on that, I figure the Bills are going to want to gouge eyes and twist ankles. Week 17: Jets at Home – I hope to God we don’t need this game. It would be perfect to have the Jets win and cement their place out of getting a franchise QB. That being said, this is another rivalry game against a team that has nothing to play for. The hate will flow strong. Analysis: I hate these divisional games being set so late in the year. The only way this could be worse is if the Ravens were mixed in here somewhere. I expect to need that bye week to get healthy.